In an innovative move to increase awareness of the Mountain Area Medical Airlift (MAMA) program and raise funds to expand MAMA, Mission Foundation is kicking off its first-ever scavenger hunt via its Facebook page starting Sept. 21, 2013. 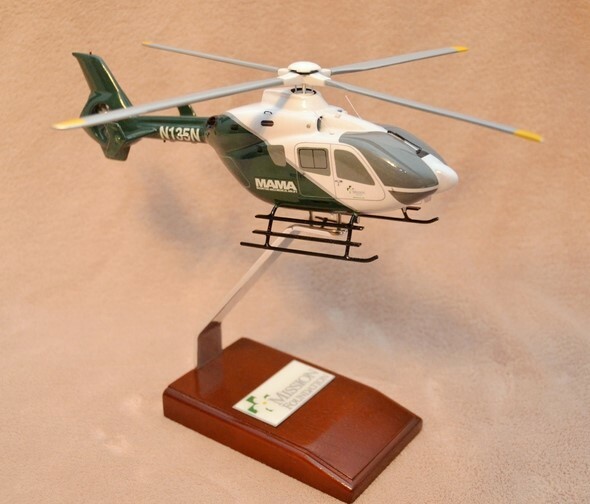 The winner will receive a 10-inch, hand carved and painted replica of a MAMA helicopter, a prize valued at approximately $300. The first clue will be posted on Fri., Sept. 20 on Mission Foundation’s Facebook page. More clues will be posted on Saturday, and each clue will include fun facts about MAMA. Fans will weave their way in and around Asheville in search of the prize. For every new “like” on the Foundation’s Facebook page during the scavenger hunt, a dollar will be donated, up to $500, to the Foundation for the MAMA campaign. Existing fans may give online by clicking on the dollar sign on the Mission Foundation Facebook page or at missionfoundation.org. MAMA’s expansion includes upgrading and up-fitting its two helicopters with state-of-the-art avionics, lifesaving technology and safety equipment. It will also include new all-weather hangers, new hanger equipment, fuel systems and generators, and new MAMA command center equipment, including radios, video systems, weather radar, blood refrigerators and pilot accommodations. Because of a projected increase of 400 flights this year stemming from new growth and development, MAMA officials are also exploring the possibility of acquiring a third helicopter to better serve the 17-county region the service covers.